Jan Wigard was just 6 years old when the Germans arrived in his home town of Middelberg on the Island of Walcheren in May, 1940. It would be over 4 years before the island was liberated. I was born on the Dutch island of Walcheren in the River Scheldt estuary on the 5th of April, 1934 in Middelburg, the capital of the province of Zeeland. Life quietly ebbed and flowed to the rhythm of a small town in pre-war Europe. There was certainly no indication of the decisive role history had in store for our island community. My father worked as a shipyard mechanic in Flushing about 8 kilometres away from our home. He cycled to work when the weather was good otherwise he took a tram. Summer weekends were often spent at the seaside and, as was usual in those days, we cycled the12 kilometres or so to the beaches. Our bicycles were left unlocked and unattended as we played happily down by the water. Perhaps my most vivid memories in the pre war years was a huge pageant to commemorate the birth of our Princess Irene in August 1939 and the annual August fair in the marketplace, where there was plenty of interest to children. As the 1930s drew to a close, these relatively innocent and carefree times were to suddenly change, and not for the better. Walcheren is a roughly saucer shaped island about 15km north to south and 18km east to west, protected by sand dunes and in lower lying areas by man-made sea-walls. The most westerly point of the island, and indeed of the Netherlands, is Westkapelle and the most easterly is the Sloedam causeway to the mainland. Close by was Arnemuiden and to the south Vlissingen, where a Dutch Navy base stood, now a Dutch Navy reserve station, a shipyard and, until some years ago, a ferry to the English ports of Harwich (pre-war) and Sheerness (post war). North was Veere, an old merchant and fishing town. 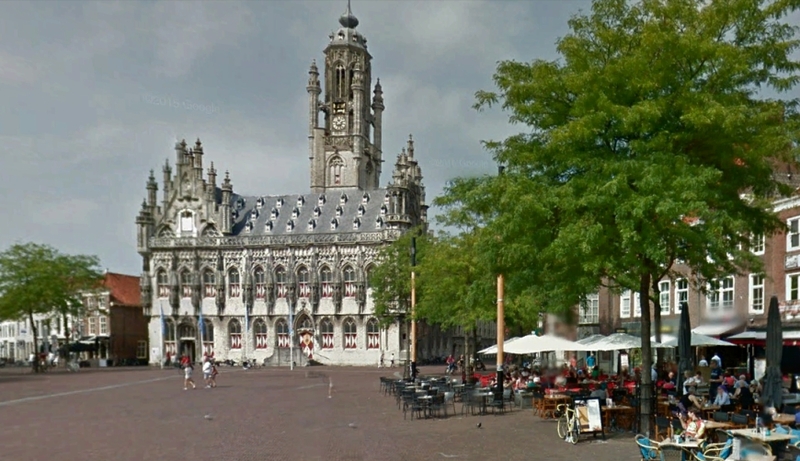 Middelburg, the capital of the province Zeeland was, as the name suggests, close to the centre of the island. The island economy was mainly farming in the rural areas and in Middleburg there were national and local government jobs and a variety of shop and factory work. Vitrite, part of the Philips group, employed around 1,000 people making caps for electric light bulbs, which were exported world-wide. At Flushing, the "De Schelde" shipyard employed about 3,000 people, building Dutch Navy, merchant navy and passenger ships, together with aircraft wings and fuselages. On the outskirts of the Flushing the Dutch KLM airline and the Dutch Royal Air force operated out of an airfield, which they used to remove their planes to England before the Germans arrived. When the Luftwaffe took over the facilities they became a legitimate target for RAF bombers. There was a concentration of 'dikers' in the Westkapelle area to build and maintain the huge sea-walls. 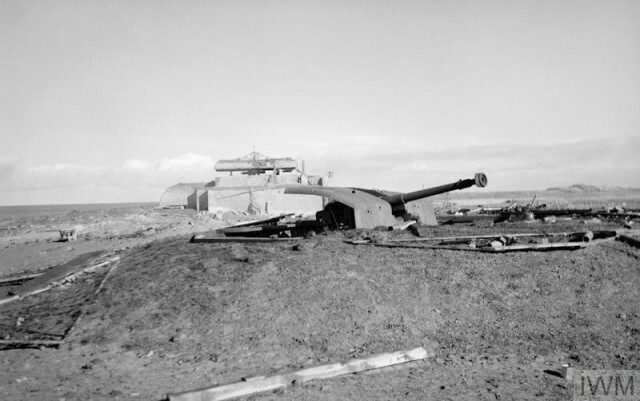 These sea defences were to play a vital role in the assault on the island by Allied forces in November, 1944. Walcheren was well known as "the garden of Zeeland" being frequently visited by English tourists via the mail boat between Vlissingen and Harwich. Most visitors stayed in Vlissingen hotel "Brittania" on the seafront. In November, 1940, it became the German HQ and four years later, it was captured by the Royal Scots after very heavy fighting. As a 6 year old child, I had no understanding of what war meant, although I heard my family talking about the warmongers in Germany. I recall a birthday-party before the occupation of our island, most likely my grandfather’s party on the 7th of May, 1940, when I heard the adults talk about the 'barbarians coming'. The apprehension and tension in that conversation made the word Barbarians extra threatening to me. I sensed that on the arrival of the Germans, my happy, carefree childhood was going to come to an abrupt end. However, the imagination of a young boy was easily distracted. The Dutch army was mobilized in 1939, which included the garrison in Middelburg. Most soldiers there, outside of basic military training, were administrators and bureaucrats trained in paymaster duties. It was a time of adventure for me, as extra soldiers were billited at the local sports ground only 50 metres from our house. A protective ditch, about 4 metres wide with prickly hawthorns on both sides, discouraged intruders. Across the ditch the soldiers built 3 pinewood pile-bridges. For a little boy this was a magical place to live and play. I remember the evocative smells of pine-wood, hawthorn, military uniforms and equipment, and many decades after the events, these smells still trigger vivid childhood memories. Apart from an understandable degree of fear and apprehension, few people understood how invading German forces would affect their lives. In early May 1940, my mother was spring-cleaning our house as most people did in those days. On Friday, May 10th, she was putting the finishing touches to her work as my father set off, as usual, on his bike to work at the shipyard in Flushing. It was the morning of that day the German troops crossed the Dutch border! Mother was still working when a neighbour came round and said 'Mrs. Wigard, stop working the war has started!' Mother replied 'That might be so but first I have to finish my job!' I cannot remember if my father went to his work in the coming days as we waited for the inevitable arrival of the German forces on our island. One curious Flushing resident accompanied his brother to the airfield near the town to watch dog-fights between Dutch and German fighters! It was a foolhardy venture, as they were both in their 30s and should have known the risks! On another day, anti aircraft shells exploded over the town and he recalled taking shelter under a sunshade-awning outside a shop as shell splinters fell to the ground! These were early days in the conflict but even so this reckless behaviour was contrary to guidance from the authorities. This 'laissez faire' attitude had, fortunately, disappeared before the end of the occupation in November, 1944, by which time everyone was an expert in living under bombardment. On the 15th of May, 1940, a damaged German bomber dropped its load of 13 bombs before it attempted a crash landing. Six civilian died from the bombing as did the crew of the plane as it crashed just out of Middelburg. Among the dead were husband and wife, aged 77 and 78 years, who died at 9.15 am that morning, as did their son aged 51 in a local hospital from natural causes. Confirmation of this bizarre coincidence can be seen from their death certificates in the town archives. On safety during bombardments for people caught out in the open, sandbag shelters were strategically placed to provide some protection from shell splinters. Of course, when the focus of the war moved away, these shelters served as playgrounds for us children. Inevitably one day the accident waiting to happen …. happened! Without warning, a wall of sandbags tumbled down, breaking the leg of a friend. For me he was the first casualty of war but there was much worse to come. I was too young to remember clearly what life was like in the period before the war. However, I do remember several frightened and stressed soldiers, low ranks as well as officers, forced westward as the well equipped and trained German forces advanced from the east. They told horrendous stories of unequal battles - a veritable David and Goliath story with no happy outcome in the short term. The Netherlands had not been involved in a war for 110 years and successive Governments had not given defence a high priority. Guns dating back to 1870 were called into service, which is one extreme example of the lack of investment in the country's defences. An atmosphere of rumour and suspicion prevailed at this time. We heard stories of treachery, the existence of a "5th column" as well as German soldiers in Dutch uniforms. Our soldiers did not trust anyone and the inability of French troops to distinguish between German and Dutch military uniforms simply added to the confusion. Members of the Dutch National Movement (NSB) and their families and those with German nationality (Reichs Deutsche) were detained by Dutch authorities, many of whom had lived in The Netherlands for many years, but such was the fear, there were few exceptions. Stories circulated about signs on walls and clandestine light-signals from certain houses in the darkness bearing secret messages for the German invaders. Alarming though these dubious stories were, they were also very exciting to a little boy who did not understand their significance. As a result of troop deployments, only the paymaster students occupied the nearby sports ground. They were all young, poorly trained and equipped and understandably scared. When a German plane flew overhead, the soldiers simply took cover close to the houses. I took cover under a hedgerow, which did not please my parents! That was the last time I was allowed to play in our garden for a very long time! Members of our family from Flushing came to live with us in Middleburg. The burgomaster of Flushing had advised the inhabitants to leave the town for security reasons. In and around Flushing there were many targets for German bombers, such as docks, shipping, the airfield and coastal batteries. Most people followed the advice and left hearth and home with only clothing, personal ID-cards, ration-cards, food and water. Unfortunately, the burgomaster of Middelburg had issued the same advice to its inhabitants, this time because the town was the administrative centre, including command and control of military affairs of the province - another possible target for German bombers! Strict blackout conditions were introduced affecting windows, street lighting, vehicle lights and even bikes, the control of which was the task of the ARP. From the time the Germans crossed our borders it took them a week to arrive on the island. In that period the local authorities had introduced many wartime measures for the population to follow. Friday the 17th of May dawned like any other with the exception of an air-raid alarm, which my parents immediately reacted to. The whole family, including our Flushing evacuees, took shelter under the staircase in the hall, which was the safest place to be during an air raid. We covered our heads with pans, a strainer and similar kitchen equipment and waited there in fear and trepidation. During the afternoon, we heard the unfamiliar, terrifying noise of shells and bombs dropping nearby. The war we had expected for so long had at last come to our hometown! What happens now? Are we safe? Are the the Barbarians outside? These were the thoughts foremost in our minds. We took comfort from each other in the seclusion of our shelter, where we stayed until the activity outside stopped. At about 18.00 hours we ventured outdoors to the unfamiliar smell of burning buildings and explosives. Not knowing what had happened, or the danger of walking about, we returned indoors. The next day my father and I ventured outside to the centre of Middelburg to see what had happened the day before. We passed by a little park close to a drill-ground, which was being used for emergency accommodation. We saw tent-like structures made from carpets, blankets and similar materials. The people using them for shelter were most likely displaced by the bombing. A car drove in with a near hysterical woman standing on the running board yelling 'fire, they will kill us!' The car was loaded with furniture, personal possessions and things essential for civilised living. I instinctively knew that something very, very serious had happened and that danger was everywhere. This was perhaps particularly the case for someone rich enough to own a car. Rich people had the most to lose and she must have imagined the terrible fate that awaited her in the uncertain days ahead. On the other hand, my father looked outwardly calm but he too must have harboured grave anxieties for the future. Our future may be uncertain and frightful, but I could trust my Dad! Although we had only covered a relatively small local area, the smell of the burning houses was everywhere, which hung around for the next month. German Heinkel bombers and SS artillery fire from South-Beveland caused the total destruction of the heart of our beautiful town, including many medieval and 17th century houses. Eight hundred families had lost their homes! In the following days a clearer picture emerged of the events that led up to the German attack on Middleburg. After the superior German forces crossed our borders on May 10, the poorly equipped Dutch Army faced an irresistible force. With the exception of French and Dutch troops in Zeeland, the Government ordered the surrender of Dutch forces after the bombing of Rotterdam. 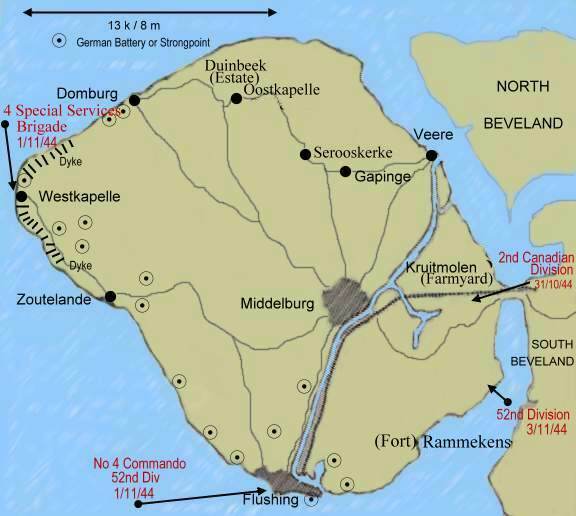 The Zeeland forces continued to resist the Germans until the bombardment of Middelburg. 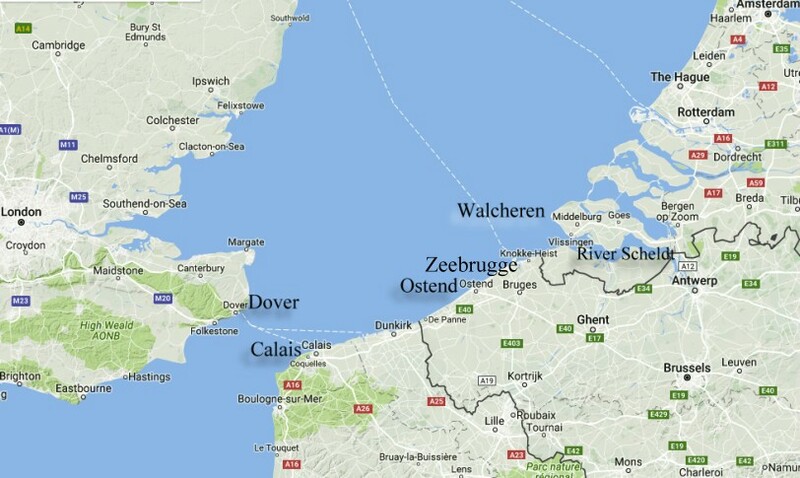 By the evening of Friday May 17, the island of Walcheren was in German hands. The local authority continued to function despite the destruction of our magnificent town hall. They had decanted into temporary accommodation in the town clerk's office in 'de Dam' square, where my father attended to some business with an official. While waiting in the hall, I saw German soldiers strolling around outside, taking in the beauty of the old patrician houses. In different circumstances they could have been mistaken for tourists, but I knew they were 'The Barbarians' who were capable of anything. What would they do to me? I was terrified and an Alderman, who recognised me and heard me sobbing, comforted me until my father returned. This was my first encounter with the occupying German soldiers. The early days of occupation witnessed the German forces establishing themselves. Towards the end of May, my father and I cycled in the direction of Vlissingen by the shortest route over the canal to the harbour - the same route our retreating forces had taken in an attempt to reach the mainland and thereby to England. The road was full of abandoned military equipment such as sabres, rifles, helmets, horses both dead and alive, cars etc. The debris of war slowed progress along the route but I was wide eyed at the prospect of gathering up interesting pieces of the discarded material. Incomprehensibly to me at the time, my father forbid it but, of course, he was right to do so. However, these visual images started my life long interest in military history, later sustained by my father's discussions with me about the war. My father's work at the shipyard became uncertain, so he was drafted as a foreman to clear the town centre of around 45,000 cubic metres of rubble. This was important work since it created a sense of order out of the chaos and I felt proud that my dad had been part of it. After that he returned to the shipyard and life, from the perspective of a young boy, took on a feeling of normality. New shops were built on the quays to replace those destroyed in the town centre. They were constructed of wood and painted green and white but the Vroom en Dreesman (V & D) department store, was mostly built of stone. How times had changed this area of town, where merchant ships from all over the world once plied their trade. Some time in June “Reichskommisar" Seyss-Inquart visited Middelburg to inspect the damage to the town. He was appointed by Hitler as the highest official for civilian affairs in Holland - a kind of beneficial Governor. He soon became a figure of mild ridicule and acquired the nickname "six and a quarter" (zes en eenkwart), which was phonetically close to the pronunciation of his name! Like Hitler, he was Austrian and a loyal Nazi. In each of the 11 Dutch provinces he had an assistant called a “Beauftragte”. In Zeeland, the post was occupied by W(illy) Münzer. Seyss-Inquart was later prosecuted at the Nuremburg War Trials. Some weeks before his visit, “De Telegraaf,” a national Dutch newspaper, printed a grossly distorted article, which blamed the French and English troops for the destruction in Middelburg. My parents were so disgusted with German propaganda in such a well respected newspaper that they immediately cancelled their order. The only British troops in our region was a small demolition unit to destroy the harbour and cranes of the ship yard. Forty-five years later, on a visit to Torquay in Devon, England, I was attracted by the sound of military music. An old soldier explained that they were having a reunion of Army Engineers and that he had been in Vlissingen in May, 1940, and had travelled as far afield as the Sloedam! We were so amazed with our meeting that we forgot to exchange addresses - an oversight I have regretted ever since. At the conclusion of his visit to Middelburg, Seyss-Inquart undertook to rebuild the medieval Abbey and other important buildings and monuments. Whilst reconstruction work was indeed carried out, the hidden agenda was to convince the Dutch population that the Germans respected Dutch heritage and culture, while the Allies inflicted wanton destruction upon them. It was Hitler's intention to offer the Dutch people, also of Germanic origin, a safe and protected life 'ins Reich' - within the Third Reich. However, in the period to the end of 1940, despite this intent, the behaviour and conduct of the occupying forces was far from perfect, but after higher authorities intervened the situation improved. During the inauguration of Reichskommisar, Seyss-Inquart, on the 29th of May, 1940, in the Dutch government building “De Ridderzaal" (the Knights’ Hall where the Dutch monarch traditionally opened the parliament each year) he said, 'I will respect the rights of the Dutch population.' However, controlling measures had already been introduced on the 16th of May 1940 with the introduction of German summer-time in the Netherlands. This was a relief to many who had expected much more draconian restrictions. By the 1st of June tea and coffee were rationed to a monthly allowance of 50 grams of tea and 250 grams of coffee per person over 15 years of age. Other rationing followed in close order: 15th of June, bread and flour; 13th of July, oat, rice, butter and margarine; 20th of July, vermicelli and on the 14th of September, meat. It was not long before virtually everything was rationed and the allowances were reduced again and again. People adapted by making their own substitutes and, of course, a thriving black market emerged to service the needs of those who could afford to pay exorbitant prices even for the essentials of life. The Dutch Parliament was disbanded on the 21st of June and trade unions were brought under Nazi supervision, which caused my father to resign his membership. On the 9th of September a curfew was introduced in coastal areas from 22.00 until 04.00 hrs. This restricted movement across the boundary of our Province to those in possession of a travel permit authorised by the German authorities. By the 1st of October, ID cards (Persoonsbewijs) were issued to all persons aged 15 and over to be shown on first demand to the Dutch police or German authorities. These cards also served the purpose of identifying Jews and workers with skills needed by the Germans. However, it was not long before the Dutch Resistance made perfect copies with false information for their agents, allowing them to go about their clandestine work with less risk of capture. By the 23rd of November, the process of removing Jewish inhabitants from the labour-force had begun. The benign and simple measures introduced in May, were now but a fond and distant memory. The German grip on Dutch society was increasing weekly. With the deprivations of war, life became more drab and boring.There were no sweets, no toys, no new clothing or shoes and no nice presents on birthdays. I had no understanding then of how troubled my parents were over the loss of basic human rights such as the freedom of speech and movement. I was cocooned from their reality and still found excitement in the new military order. I started school in August, 1940, which brought some structure and organisation into my daily routine. It took about fifteen minutes to walk to school, initially accompanied by my mother until she knew it was safe for me to travel alone. For a short time we received a quarter of a litre of milk on an irregular basis. That year we celebrated St. Nicolaas on the 5th of December (similar to Santa Claus) for the last time with as traditional a festive season as was possible under the circumstances. We had baked fritters and apple turnovers and there was a Christmas tree with real small candles. In the following years there was nothing with which to celebrate, as a result of the rationing and general restrictions. Life was rapidly turning into a struggle simply to exist. 1941 was a terrible year. Rations continued to be reduced, registration of Jewish inhabitants became compulsory and admittance to cinemas and theatres was forbidden. In Amsterdam, many Jews were rounded up and transported out of the country. There was little the population could do against the German military might, so a mass civil protest took place against the increasingly punitive measure against the Jewish population. To impose their will, the Germans executed 18 civilians as an example to others. Each year the anniversary of this tragic event is remembered. In an attempt to erase the memory of the Dutch Royal Family, the use of their names was forbidden. Streets bearing their names were renamed and the use of Royal names for new born children was outlawed. The Dutch coinage, bearing the portrait of the Queen, was replaced by German equivalents made of zinc and stamped with Nazi symbols. Notes above 1 guilder were replaced by ones signed by Nazi officials. These measures met the German objective of removing all Royal images and references and gave the Germans a valuable source of much needed bronze, silver and even gold. Later, as the supply of metals failed to meet the German demand, household goods made of brass, nickel, bronze, copper, aluminium etc were handed over for the German war effort. Censorship regulations were introduced to forbid the population listening to radio stations other than those controlled by the Germans. There were heavy penalties for those who transgressed, including the dreaded concentration camps for the most serious offences. Newspapers only published material approved by the Germans and publishing any details of deaths or damage caused by Allied air bombardment was forbidden. Only meaningless descriptions were published, such as "by a fatal accident was killed." This approach was to thwart Allied intelligence gathering in assessing the effectiveness of bombing raids. Even the duties and responsibilities of Local and Provincial Government were redefined and political parties disbanded. My worst moment occurred on the 16th of February, 1941. My friend Henk and I were playing in the park behind our houses. Our parents were friends and both our fathers bred canaries. 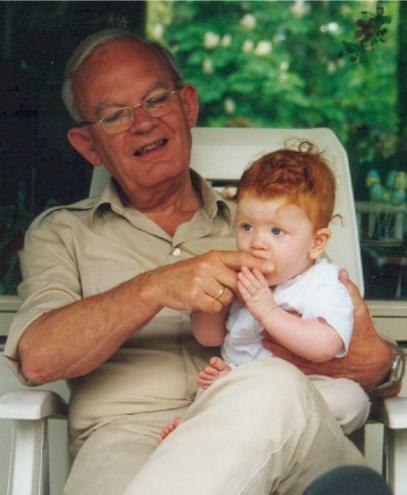 It was a spring like morning and, at about 10.15 hrs, Henk left with his father to visit his grandparents who lived nearby. I wanted to go with them and while Henk's father was happy to take me along, my parents had other plans. Because it was a nice day, they took a detour along the town's ancient defensive walls - a decision that was to cost them their lives. Written by Geoff Slee from information provided by Jan H. Wigard, Walcheren, Holland. Jan felt unable to continue with his reminiscences through 1942 to late 1944 although that had been his original intention. His is the only account on this website of life under the oppressive military rule of the Nazi regime, and we thank him for that.